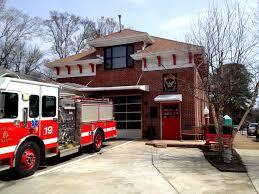 Fire Station #19 at 1063 North Highland Avenue is Atlanta’s oldest continuously operating fire station. Located in the heart of the historic Virginia-Highland neighborhood, the station has been a neighborhood landmark for more than 90 years. The City of Atlanta has plans to close the station in 2016. This decision has not been announced to the community at large, though, and key constituents in the neighborhood are very concerned about the possible loss of this historic resource that is central to our safety and community life. Interested citizens can help protect the station by donating funds to help renovate it. The fire station’s building is in good structural condition but needs basic repairs. 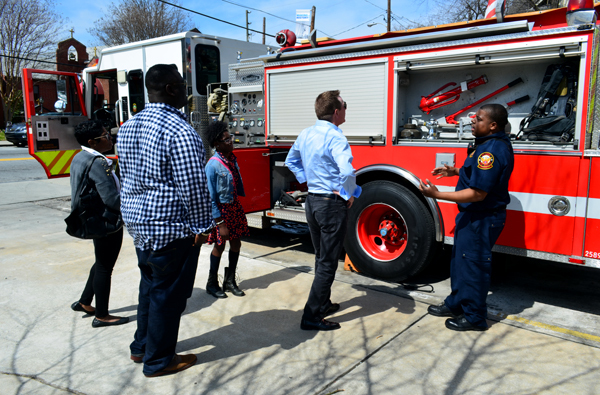 A neighborhood committee – consisting of architects, historians, preservationists, community leaders, and contractors – has made recommendations to renovate and update the building in partnership with the Atlanta Fire Department and the City of Atlanta. Protecting out station will require community support. To date, nearly $80,000 has been raised. Another $220,000 is needed to keep No. 19 operating in a safe and efficient manner for another 50 years. Our goal is to raise those funds by December 2015. 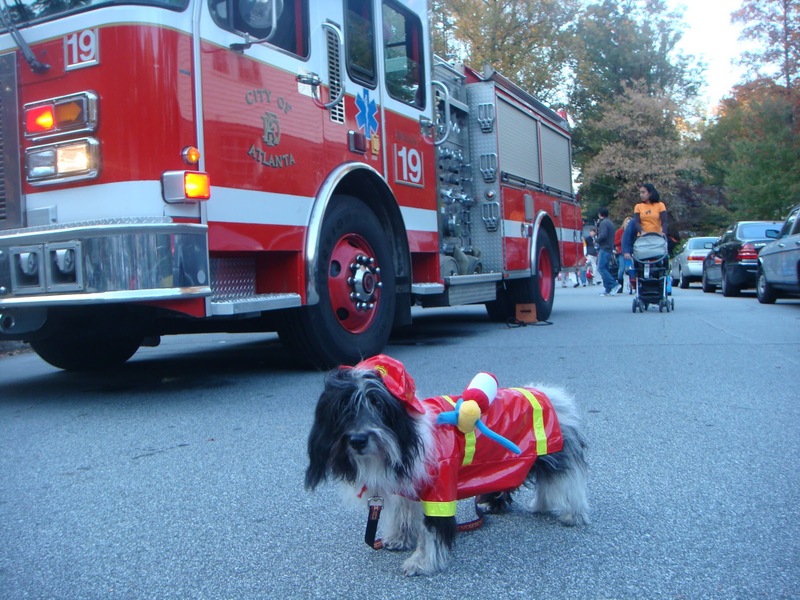 Click here to make a TAX DEDUCTIBLE donation online to the Virginia-Highland Conservation League (a wholly-owned subsidiary of the Virginia-Highland Civic Association) on behalf of Fire Station #19. Donations to the VHCL on behalf of the fire station are tax deductible and will be earmarked for the preservation effort. If you have questions about your gift, please contact VHCA board member Lola Carlisle. Join us on February 17, 2015 for dinner at Yeah Burger at 1017 North Highland Avenue. Proceeds from the charity night will be donated to Fire Station #19. Sign up for the 5th annual Morningside Mile and Block Party at noon on March 29, 2015. Visit http://www.morningsidemile.com/ for registration details and additional information. 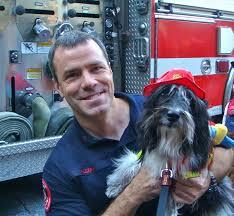 Fire Station #19 offers a variety of logo merchandise for sale, from t-shirts to dog bandanas. Visit the station at 1063 N. Highland Avenue to learn more. All proceeds support the renovation effort. 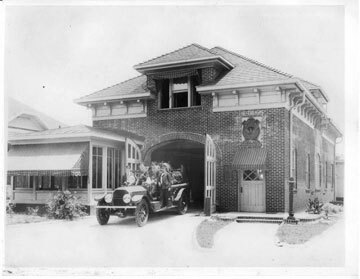 Virginia-Highland was established in 1909 and the City of Atlanta soon had to “furnish adequate fire protection to that rapidly growing community.” In 1924, $28,000 was raised to build Fire Station #19, and the station began operation on June 1, 1925. Generations of firefighters have served as an anchor in our community ever since. The firefighters who serve Fire Station #19 do much more than fight fires. They assist with car seat installations and safety checks, offer blood pressure monitoring, provide shelter for women in need, and contribute to a number of special events, from the Morningside Mile to Breakfast with Santa. 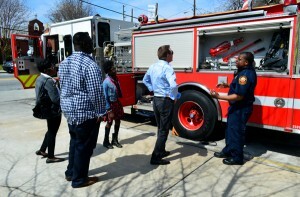 Nearly 300 community members visit the station each week. Additionally, it serves as a voting precinct. Fire Station #19 is a contributing resource on the Virginia-Highland National Register Nomination. In 2007, the Georgia Trust listed the Virginia-Highland Neighborhood as a “Place in Peril” because of the loss of historic resources. If you’d like to be a part of the work we’re doing to protect and preserve Fire Station #19 and other VaHi treasures, please consider joining the VHCA’s History and Preservation Committee. For more information, contact Catherine Lewis. 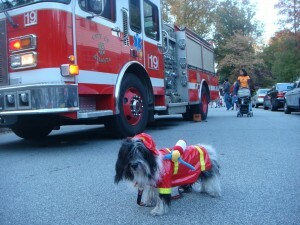 Click here for directions to Fire Station #19, 1063 N. Highland Ave. NE, Virginia-Highland, Atlanta, Georgia.